Fort William, headquarters of theBritish East India Company, in 1735. Bengali billboards on Harrison Street. Calcutta was the largest commercial center in British India. The discovery and archaeological study of Chandraketugarh, 35 kilometres (22 mi) north of Kolkata, provide evidence that the region in which the city stands has been inhabited for over two millennia. Kolkata's recorded history began in 1690 with the arrival of the English East India Company, which was consolidating its trade business in Bengal. Job Charnock, an administrator who worked for the Company, is traditionally credited as the founder of the city; in response to a public petition, the Calcutta High Court ruled in 2003 that the city does not have a founder. The area occupied by the present-day city encompassed three villages: Kalikata,Gobindapur, and Sutanuti. Kalikata was a fishing village; Sutanuti was a riverside weavers' village. They were part of an estate belonging to the Mughal emperor; thejagirdari (a land grant bestowed by a king on his noblemen) taxation rights to the villages were held by the Sabarna Roy Choudhury family of landowners, orzamindars. These rights were transferred to the East India Company in 1698. 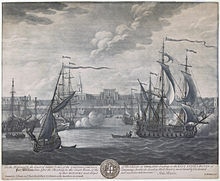 In 1712, the British completed the construction of Fort William, located on the east bank of the Hooghly River to protect their trading factory. Facing frequent skirmishes with French forces, the British began to upgrade their fortifications in 1756. The Nawab of Bengal, Siraj ud-Daulah, protested the militarization and tax evasion by the company. His warning went unheeded, and the Nawab attacked; he captured Fort William and instigated the killings of several British prisoners of war in the Black Hole of Calcutta. A force of Company soldiers (sepoys) and British troops led by Robert Clive recaptured the city the following year. Per the 1765Treaty of Allahabad following the battle of Buxar, East India company was appointed imperial tax collector of the Mughal emperor in the province of Bengal, Bihar and Orissa, while Mughal-appointed Nawabs continued to rule the province. Declared a presidency city, Calcutta became the headquarters of the East India Company by 1772. In 1793, ruling power of the Nawabs were abolished and East India company took complete control of the city and the province. Beginning in 1864, the hill station of Shimla served as administrative capital during summers. In the early 19th century, the marshes surrounding the city were drained; the government area was laid out along the banks of the Hooghly River. Richard Wellesley, Governor-General of India between 1797 and 1805, was largely responsible for the development of the city and its public architecture. Throughout the late 18th and 19th century, the city was a centre of the East India Company's opium trade. By the 1850s, Calcutta had two areas: White Town, which was primarily British and centred on Chowringhee; and Black Town, mainly Indian and centred on North Calcutta. The city underwent rapid industrial growth starting in the early 1850s, especially in the textile and jute industries; this encouraged British companies to massively invest in infrastructure projects, which included telegraph connections andHowrah railway station. The coalescence of British and Indian culture resulted in the emergence of a new babu class of urbane Indians, whose members were often bureaucrats, professionals, newspaper readers, and Anglophiles; they usually belonged to upper-caste Hindu communities. In the 19th century, the Bengal Renaissance brought about an increased sociocultural sophistication among city denizens. In 1883, Calcutta was host to the first national conference of the Indian National Association, the first avowed nationalist organisation in India. Gradually, Calcutta became a centre forrevolutionary organisations associated with the Indian independence movement. The temporary 1905 partition of Bengalalong communal lines resulted in widespread public agitation and a boycott of British goods by the Swadeshi movement.These activities, along with the administratively disadvantageous location of Calcutta on the eastern fringes of India, prompted the British to move the capital to New Delhi in 1911. Rashtraguru Surendranath Banerjee organized a national conference at 1883. This was the first political party in India in the nineteenth century. In 1905, Calcutta protested the partition of division of Bengal and boycotted all the British Goods.Gradually Calcutta became an important hub for Indian Independence Movement, especially the revolutionary parties. The city and its port were bombed several times by the Japanese between 1942 and 1944, during World War II.Coinciding with the war, millions starved to death during the Bengal famine of 1943 due to a combination of military, administrative, and natural factors.Demands for the creation of a Muslim state led in 1946 to an episode of communal violence that killed over 4,000.The partition of India led to further clashes and a demographic shift—many Muslims left for East Pakistan, while hundreds of thousands of Hindus fled into the city. During the 1960s and 1970s, severe power shortages, strikes, and a violent Marxist–Maoist movement by groups known as the Naxalites damaged much of the city's infrastructure, resulting in economic stagnation. The Bangladesh Liberation Warof 1971 led to a massive influx of thousands of refugees, many of them penniless, that strained Kolkata's infrastructure.During the mid-1980s, Mumbai (then called Bombay) overtook Kolkata as India's most populous city. In 1985, Rajiv Gandhidubbed Kolkata a "dying city" in light of its socio-political woes.After independence in the year of 1951 and 1956 the Corporation act was amended. Lastly in 1980 West Bengal Government amended this act. In 1984 a revised new law was effected. 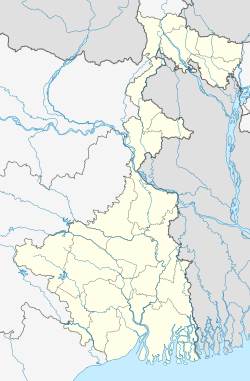 In the period 1977–2011, West Bengal was governed from Kolkata by the Left Front, which was dominated by theCommunist Party of India (CPM). It was the world's longest-serving democratically elected communist government; Kolkata was a key base for Indian communism.The city's economic recovery gathered momentum after the 1990s, whenIndia began to institute pro-market reforms. Since 2000, the information technology (IT) services sector has revitalised Kolkata's stagnant economy. The city is also experiencing marked growth in its manufacturing base. Sandesh, a typical Bengali sweet. The National Library of India. Dance accompanied by Rabindra Sangeet, a music genre started by Rabindranath Tagore. Kolkata is known for its literary, artistic, and revolutionary heritage; as the former capital of India, it was the birthplace of modern Indian literary and artistic thought. Kolkata has been called the "City of Furious, Creative Energy"as well as the "cultural [or literary] capital of India". The presence of paras, which are neighbourhoods that possess a strong sense of community, is characteristic of the city.Typically, each para has its own community club and, on occasion, a playing field.Residents engage in addas, or leisurely chats, that often take the form of freestyle intellectual conversation. The city has a tradition of political graffiti depicting everything from outrageous slander to witty banter and limericks, caricatures, and propaganda. Kolkata has many buildings adorned withIndo-Islamic and Indo-Saracenicarchitectural motifs. Several well-maintained major buildings from the colonial period have been declared "heritage structures";others are in various stages of decay.Established in 1814 as the nation's oldest museum, the Indian Museum houses large collections that showcaseIndian natural history and Indian art. Marble Palace is a classic example of a European mansion that was built in the city. The Victoria Memorial, a place of interest in Kolkata, has a museum documenting the city's history. The National Library of India is the leading public library in the country while Science City is the largest science centre in the Indian subcontinent. The popularity of commercial theatres in the city has declined since the 1980s. Group theatres of Kolkata, a cultural movement that started in the 1940s contrasting with the then-popular commercial theatres, are theatres that are not professional or commercial, and are centres of various experiments in theme, content, and production; group theatres use the proscenium stage to highlight socially relevant messages. Chitpur locality of the city houses multiple production companies of jatra, a tradition of folk drama popular in rural Bengal. 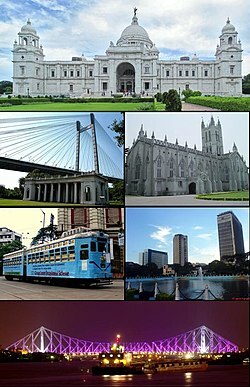 Kolkata is the home of the Bengali cinema industry, dubbed "Tollywood" for Tollygunj, where most of the state's film studios are located.Its long tradition ofart films includes globally acclaimed film directors such as Academy Award-winning director Satyajit Ray, Ritwik Ghatak,Mrinal Sen, Tapan Sinha, and contemporary directors such as Aparna Sen, Buddhadeb Dasgupta, and Rituparno Ghosh. During the 19th and 20th centuries, Bengali literature was modernised through the works of authors such as Ishwar Chandra Vidyasagar, Bankim Chandra Chattopadhyay, Michael Madhusudan Dutt, Rabindranath Tagore, Kazi Nazrul Islam, andSarat Chandra Chattopadhyay. Coupled with social reforms led by Ram Mohan Roy, Swami Vivekananda, and others, this constituted a major part of the Bengal Renaissance. The middle and latter parts of the 20th century witnessed the arrival of post-modernism, as well as literary movements such as those espoused by the Kallol movement, hungryalists and the little magazines.Large majority of publishers of the city is concentrated in and around College Street, "...a half-mile of bookshops and bookstalls spilling over onto the pavement", selling new and used books. A murti, or representation, of the goddess Durga shown during theDurga Puja festival. Kalighat painting originated in 19th century Kolkata as a local style that reflected a variety of themes including mythology and quotidian life. The Government College of Art and Craft, founded in 1864, has been the cradle as well as workplace of eminent artists including Abanindranath Tagore, Jamini Roy, and Nandalal Bose. The art college was the birthplace of the Bengal school of art that arose as an avant garde and nationalist movement reacting against the prevalentacademic art styles in the early 20th century. The Academy of Fine Arts and other art galleries hold regular art exhibitions. The city is recognised for its appreciation of rabindrasangeet (songs written by Rabindranath Tagore) and Indian classical music, with important concerts and recitals, such as Dover Lane Music Conference, being held throughout the year; Bengali popular music, including baulfolk ballads, kirtans, and Gajan festival music; and modern music, including Bengali-language adhunik songs. Since the early 1990s, new genres have emerged, including one comprising alternative folk–rock Bengali bands.Another new style, jibonmukhi gaan ("songs about life"), is based on realism. Key elements of Kolkata's cuisine include rice and a fish curry known as machher jhol, which can be accompanied by desserts such as roshogolla, sandesh, and a sweet yoghurt known as mishti dohi. Bengal's large repertoire of seafood dishes includes various preparations of ilish, a fish that is a favourite among Calcuttans. Street foods such as beguni (fried battered eggplant slices), kati roll (flatbread roll with vegetable or chicken, mutton, or egg stuffing), phuchka (a deep-fried crêpe with tamarind sauce) and Indian Chinese cuisine from Chinatown are popular.Sweets play a large part in the diet of Kolkatans—especially at their social ceremonies. Though Bengali women traditionally wear the sari, the shalwar kameez and Western attire is gaining acceptance among younger women. Western-style dress has greater acceptance among men, although the traditional dhoti and kurta are seen during festivals. Durga Puja, held in September–October, is Kolkata's most important festival; it is an occasion for glamorous celebrations. The Bengali New Year, known as Poila Boishak, as well as the harvest festival of Poush Parbon are among the city's other festivals; also celebrated are Jagaddhatri Puja, Diwali, Saraswati Puja, Eid, Holi,Christmas, and Rath Yatra. Cultural events include the Kolkata Book Fair, the Dover Lane Music Festival, the Kolkata Film Festival, Nandikar's National Theatre Festival and the Statesman Vintage & Classic Car Rally. Welcome to Wowcity fellow Indians! The Indian Wowcity is a web-based platform for local business search, ideas and expression, a resource of opportunities, and a network of inspirational young people and their projects.